We Moved to a New Website! We have exciting news! Boston Public Schools Food and Nutrition Services has a new website! or you can click here ! 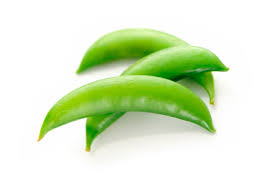 Food and Nutrition Services is happy to announce that the Massachusetts Department of Elementary and Secondary Education has approved 30 Boston Public Schools for the 2015-2016 Fresh Fruit and Vegetable Program (FFVP). 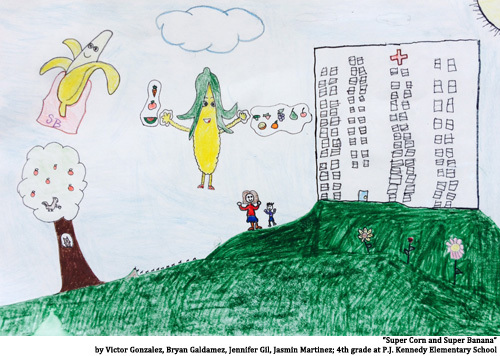 The FFVP is a government initiative to expose children to a wide variety of fresh fruits and vegetables outside of school breakfast and school lunch. 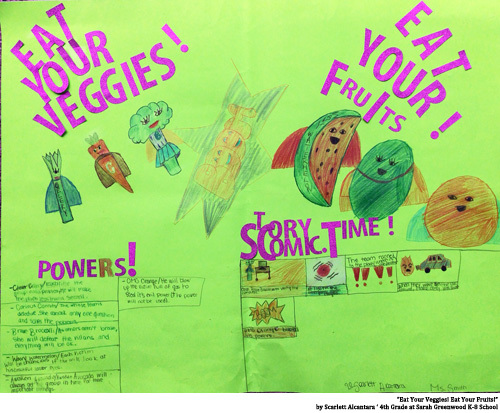 FFVP On-Site Coordinators report that students have been asking, “Where are the fruits and veggies?” since the first day of school. 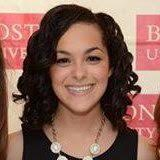 Bianca Tamburello, the new Fresh Fruit and Vegetable Program Coordinator, is thrilled by student enthusiasm for the program. 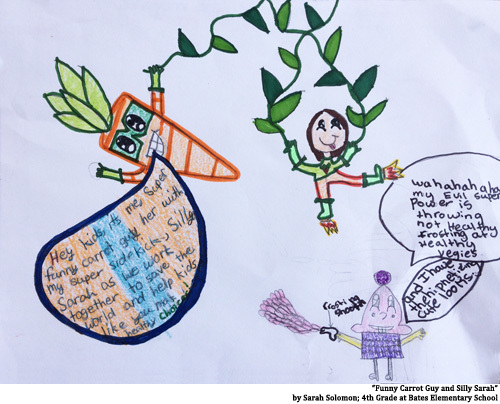 She plans to generate even more excitement about the program by organizing fun nutrition education activities and offering interesting fruit and vegetable snacks such as mangoes, snap peas, and maybe even jicama this school year! FFVP will kick-off the week of October 5th in all participating schools. Below are the participating Boston Public Schools. Meet Bianca! Our Fresh Fruit and Vegetable Program Coordinator. Child and Adult Care Food Program (CACFP): Click Here to apply for After School Meal Application as part of the CACFP program. 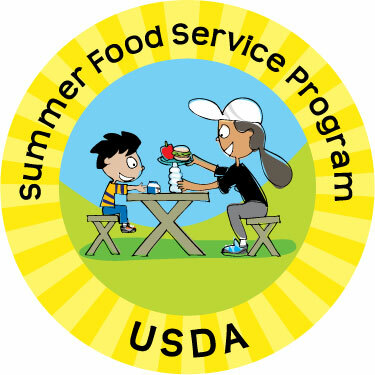 As the school year wraps up, BPS Food and Nutrition Services Department is preparing to sponsor the USDA Summer Food Service Program (SFSP) in over 100 open sites across the city. These SFSP open sites provide FREE breakfast and lunch to all children and youth, 18 years of age and under. No registration or IDs necessary. SFSP open sites will run from July 1-August 28, 2015. 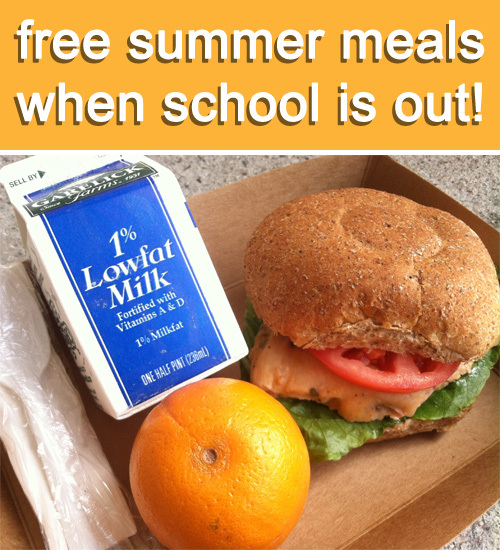 * For an updated list of open sites and service times, click here to visit the “Summer Food Service Program 2015” page on this blog. Or call the Project Bread Hotline at 1-800-645-8333 for more information. Also summer menus are now available! Click here, to see the SFSP Menus for July-August 2015. Have a great summer! Hope you will come on down to an open site near you to enjoy healthy, tasty meals this summer! *Select sites will be open through September 4, 2015. 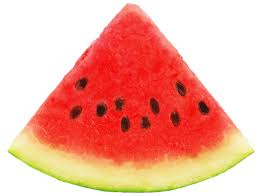 These sites will be highlighted on the “Summer Food Service Program 2015” page on this blog later this summer. 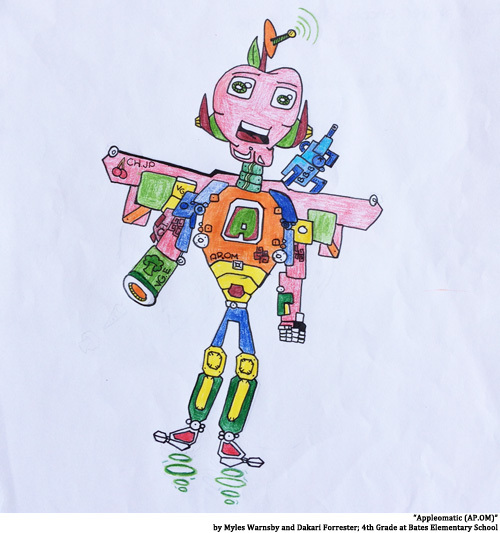 We received over 400 entries from 8 Boston Public Schools: Bates Elementary, Condon Elementary, Higginson Elementary, Jackson Mann K-8, Kilmer K-8, Lyndon K-8, P.J. Kennedy Elementary, and Sarah Greenwood K-8. 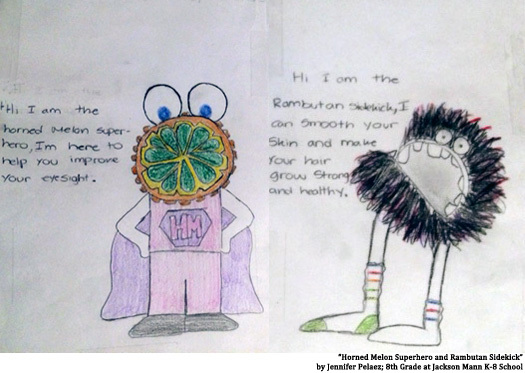 Our new superheroes in the Fruit and Veggie Action League range from Papa Potato and Corny the Cobbler to the Horned Melon and his side kick Rambutan. 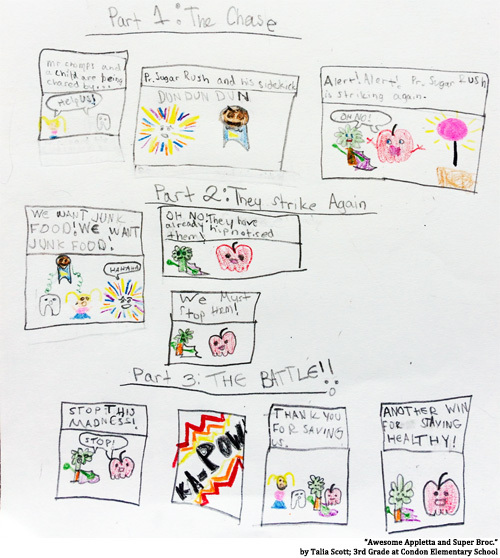 These fruit and veggie superheroes help people stay healthy and strong while fighting bad guys and curing bee stings. 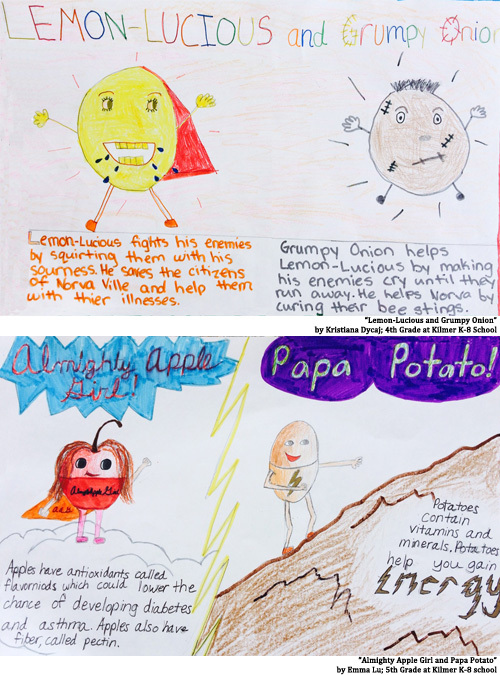 Thanks again to all of our participants for your creativity and for helping us form the Fruit and Veggie Action League! 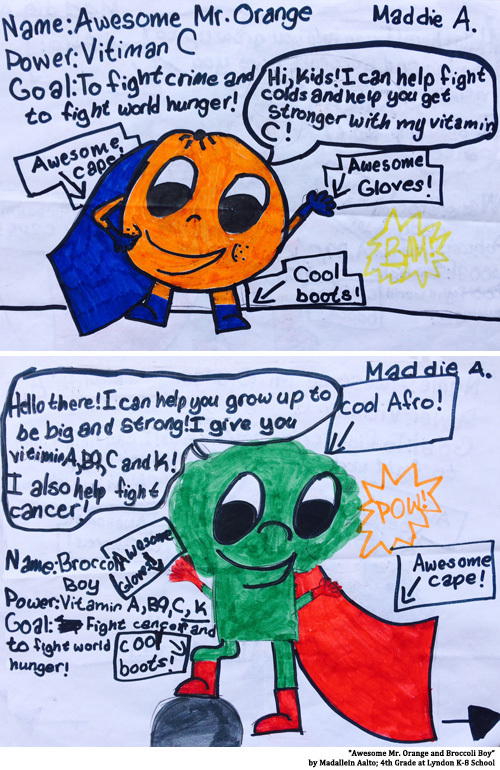 It’s School Lunch Hero Day! 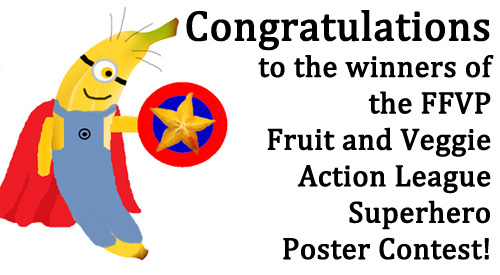 May 1, 2015 is School Lunch Hero Day! 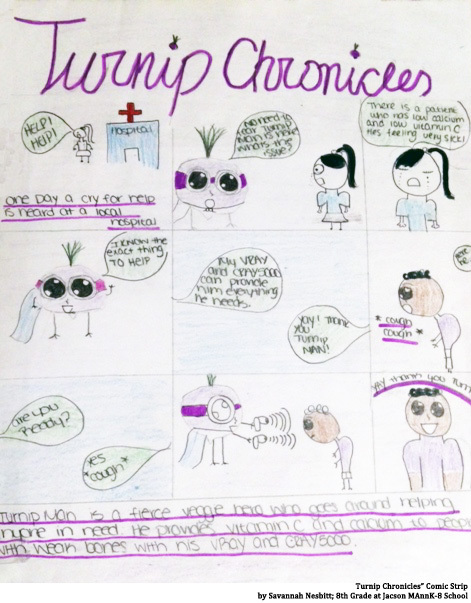 We know that our students are better learners when their stomachs aren’t grumbling. Every day our cafeteria staff plays a HUGE role in making sure our students have healthy meals to eat at school each day. Today we are saying THANK YOU to over 400 BPS school food professionals who prepare around 40,000 meals every day for BPS students. These women and men work hard as they aim to prepare healthy, tasty meals that meet federal nutrition standards and student preferences on the lunch line. 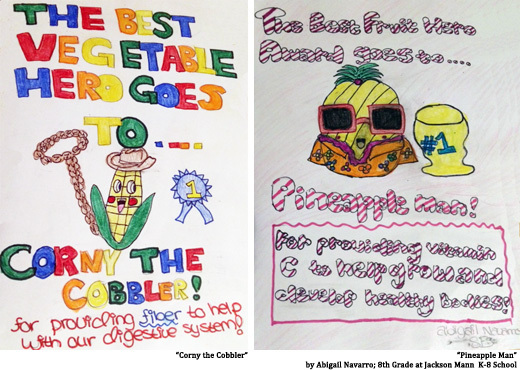 At the Mather Elementary School in Dorchester, FoodCorps Service Member Annabel Raby organized a cafeteria staff appreciation day to honor and thank the staff with posters and aprons decorated by the students. Hope you will also take a moment to say THANK YOU to your cafeteria staff today! School Lunch Hero Day was started by Jarrett J. Krosoczka, author and illustrator of the Lunch Lady graphic novel series to say THANK YOU to his childhood school lunch hero and all the women and men who continue to serve and care for our students every day in our school cafeterias. 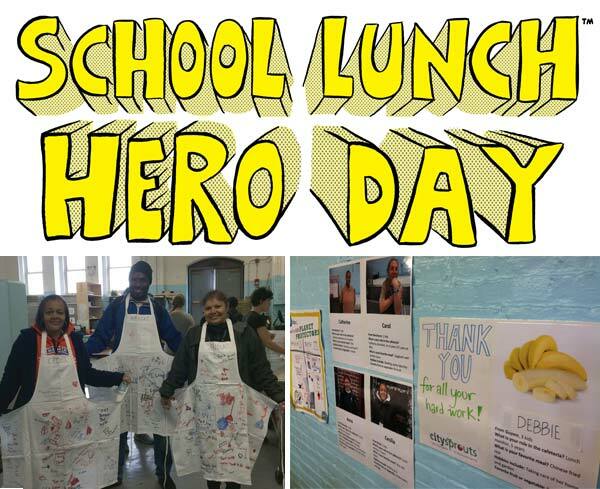 Check out this YouTube video to learn more about School Lunch Hero Day! Survey says….What would you like to see on the menu? In March 2015, we asked for your feedback on the menus through a survey that we posted on the blog. Thank you for your responses! 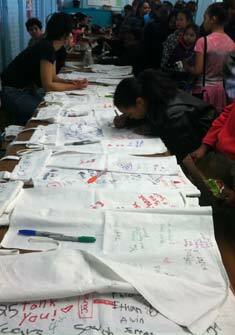 We received over 100 responses, from 15 schools across the city (both full kitchen cafeteria and satellite sites). We asked, “What would you like to see on the lunch menu?” and captured your responses in the the word cloud above. The larger the word, the more frequent the response. These survey results provide some food for thought as we continue to improve our menus to meet required nutrition standards and diverse student preferences within a tight budget. The rest of the survey results will be considered as future menu changes are considered. Thank you for taking the time to complete our survey! As our menus continue to evolve, please continue to provide your input by emailing SchoolFoodBoston[at]bostonpublicschools.org.